Home > Uncategorized > Macy’s: Kipling Creativity Large Cosmetic Pouch Only $13.92! 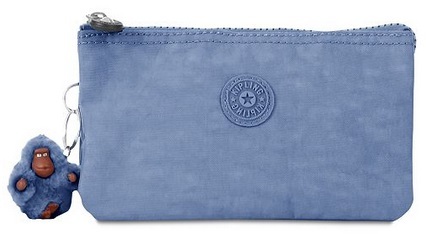 Macy’s: Kipling Creativity Large Cosmetic Pouch Only $13.92! November 8, 2018 Comments Off on Macy’s: Kipling Creativity Large Cosmetic Pouch Only $13.92! Macy’s has the Kipling Creativity Large Cosmetic Pouch on sale for $17.40, and add coupon code: VETS to bring the price down to only $13.92! Macy’s offers free-in-store pickup, or free shipping on orders of $49 or more, or you can click here to purchase any beauty item which are priced from just $3 to get free shipping on any order! Amazon: Jabra Elite 65t Alexa Enabled True Wireless Earbuds Charging Case – Titanium Black Only $119.99 + Free Shipping!